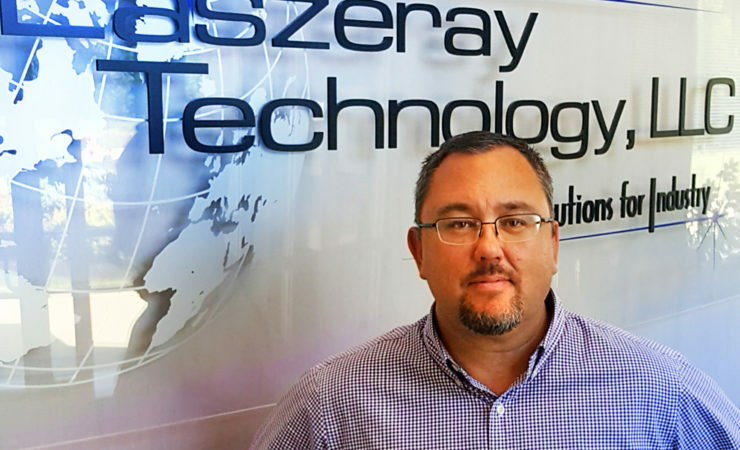 LASZERAY TECHNOLOGY, LLC appoints Ty Shirley as President and Chief Operating Officer NORTH ROYALTON, OHIO – Custom injection molding, tooling, assembly, and machining manufacturer Laszeray Technology, LLC has named Ty Shirley as President and Chief Operating Officer. With more than 20 years of industry and executive leadership, Ty has built an impressive record of achievements in strategic operational excellence and commercial development. “On behalf of Laszeray Technology and the Board of Directors, we are pleased to have Ty Shirley guiding our business into the future. Ty’s experience, leadership, and dedication of creating a culture of performance excellence positions Laszeray Technology to deliver exceptional value through superior customer service, efficient manufacturing, and innovative solutions”, stated Greg Clark, CEO. Ty Shirley joined Laszeray Technology in December, 2014 facilitating the role of Chief Operating Officer. Previously, he held leadership positions with ZOOK Enterprises, LLC, Akro-Mils (Myers Industries), Audiopack (Ultra Electronics Corp.) and Joslyn Hi-Voltage (Danaher Corp.) Throughout his career, Ty has developed strong business and customer relationships, built talented cross-functional teams, and facilitated innovative ways to grow businesses. Ty Shirley holds a BS in Business Management and is a Lean Master Black Belt. Based in North Royalton, Ohio, Laszeray Technology, LLC, is an integrated manufacturer of quality, custom injection molded components and highly engineered tooling. The company provides customers with a full suite of value-added services including product development and design engineering, rapid prototyping, custom tool manufacturing, injection molding, and cnc machining serving consumer, aerospace, automotive, healthcare, military, and recreational industries.